Wherever you are headed on the east side of the peninsula of Sithonia, you cannot miss the ‘Manassu-Akti Oneirou’ sign. 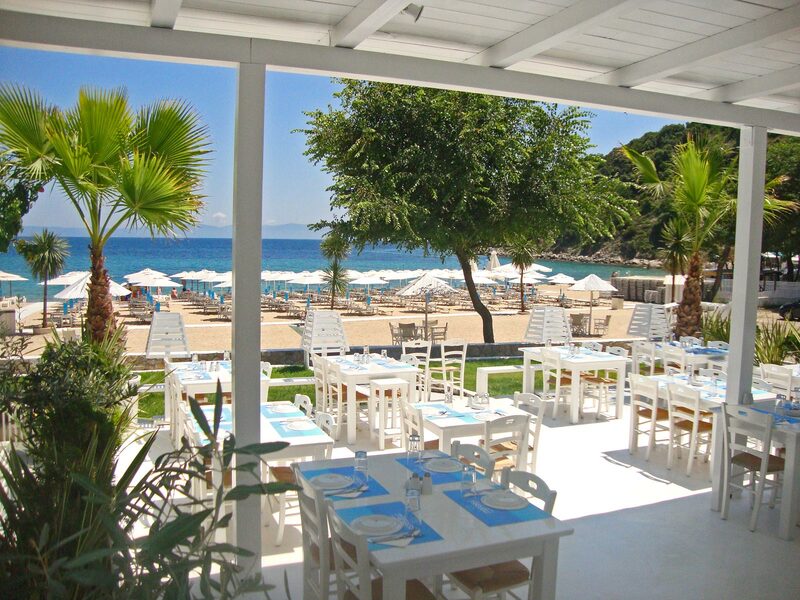 It leads you to one of the best camping resorts in the area and one of the most popular beach bars around. This high-class camping site offers everything you would want from a camp plus one perfection level higher. As soon as you get there (about 1hr 20min drive from Thessalonica), you feel (and see) that this place is a bit different than you have expected. It is situated deep in a bay with perfectly clear turquoise sea. Everything here seems like it is made or your convenience. Its high aesthetics and island architecture create paradise you do not want to leave. 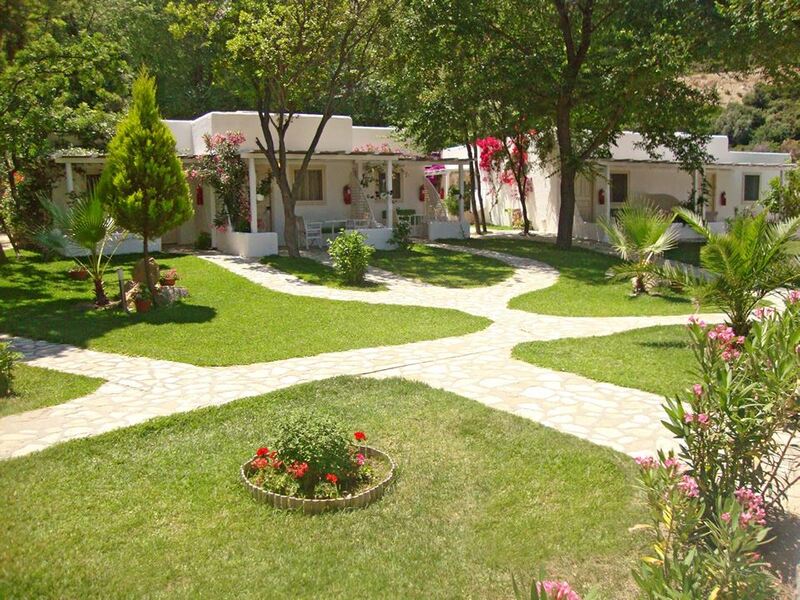 There are shaded pitches for tents between the tress and luxurious beach bungalows with all the necessary facilities. This resort offers everything you need or want (bar, restaurant, shop, clinic, TV room and many other necessary or unnecessary services). If you want your holiday to be pure perfection, you will not miss to add yoga, fitness classes or a massage to your everyday holiday routine. 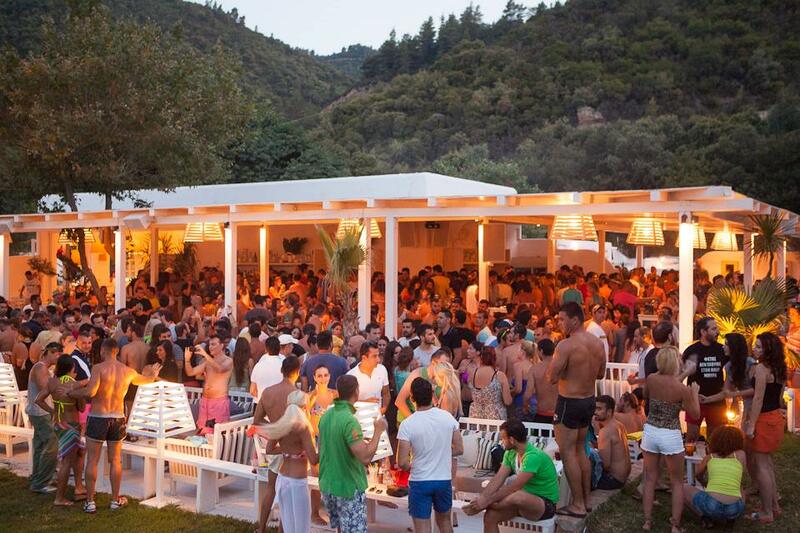 We strongly recommend this place to nature lovers, quiet lovers, party lovers… in other words to everybody. This place really does justice to its name – dream coast. Set right next to Akti Oneirou camping resort (about one and a half hour from Thessalonica, on the east side of this beautiful peninsula), this bar is the place you really want to be. Early in the morning it welcomes you with its peace and quiet, as mornings should be, an experience you’ve witnessed so many times, but never quite as unique. True happiness. The whites and the blues of the place bring peace into your mind, serenity into your soul and the whole atmosphere makes sure it stays like that for the most part of the day. The most comfortable chairs and beach sofas just add to the feeling. It greets you in the afternoon with its liveliness and the best atmosphere by far. A good lunch with a glass of wine in such a magnificent place is maybe all you need to forget your worries. You can come here to be seen or you can just have a coffee or a snack. You can exclude yourself from everything and read a book, occasionally gazing at crystal green surface of the sea. Or, you can enjoy your summer with open minded people and partying. Great staff of the beach bar and restaurant will see that you don’t lack anything, even if it’s a friendly smile that you need. In this place, yours is just to relax and enjoy it. After all, don’t believe us. Go and see for yourselves. Hi, we would love to visit our friends in Manasu beach but we are spending our holidays here with a family dog. Please let me know if Manasu beach and camp is dog friendly? Our camping is pet friendly. always with you and you take care of his or hers hygiene. Hi, i would like to make a reservation,but i couldn’t from your website. Can you help me? official Akti Oneirou & Manassu website.